These monogrammed bodysuits for baby girls are an adorable closet staple for any baby or toddler girl. 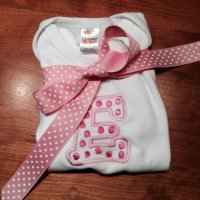 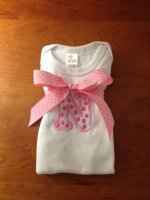 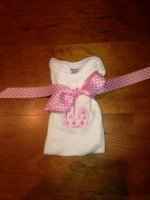 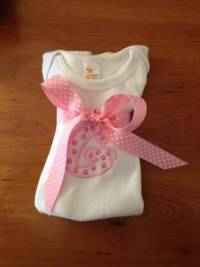 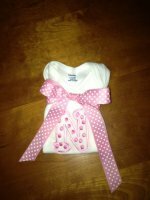 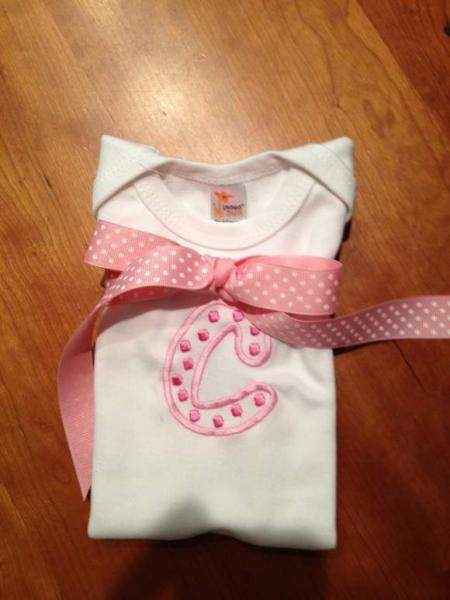 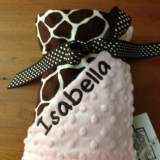 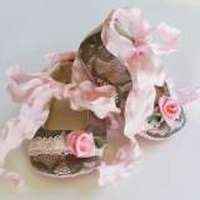 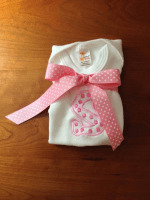 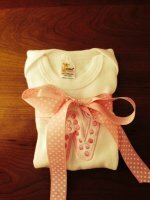 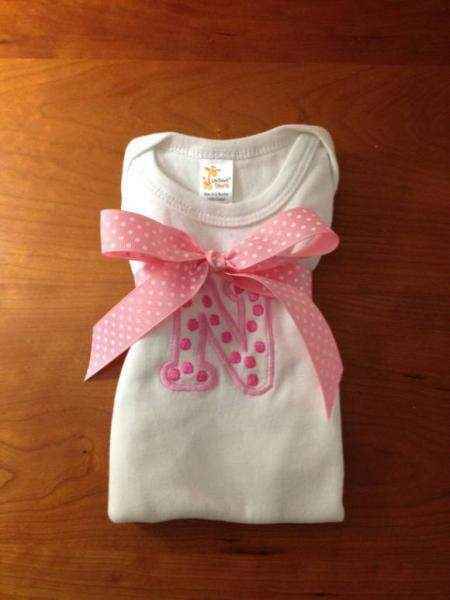 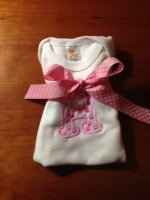 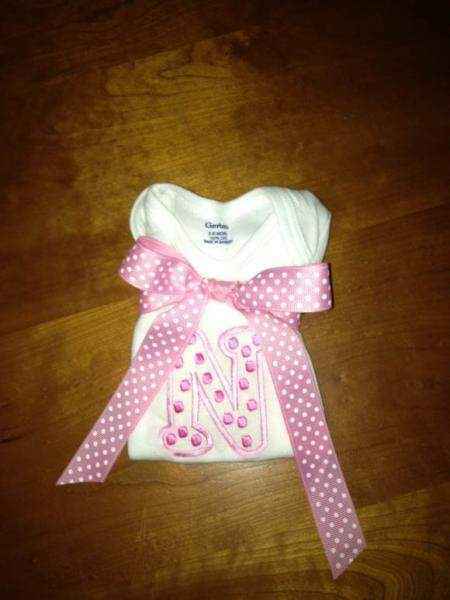 They also make cute personalized baby girl gifts. 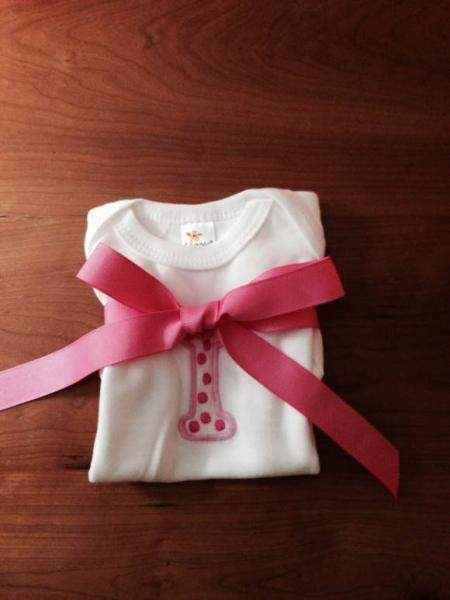 These personalized bodysuits come with one initial. 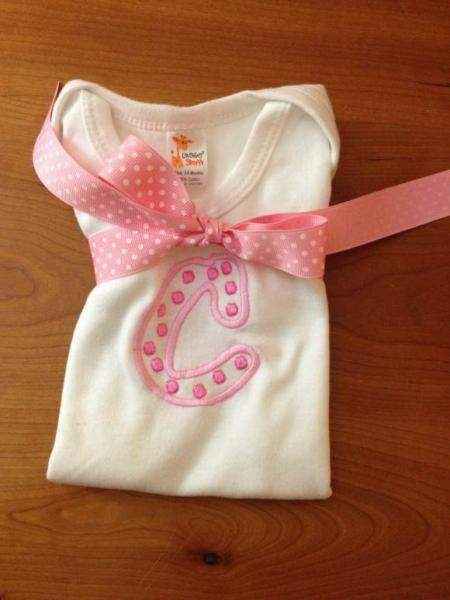 Choose the initial for baby's first name or last name. 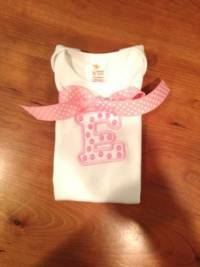 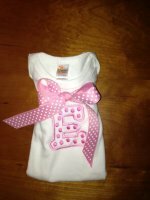 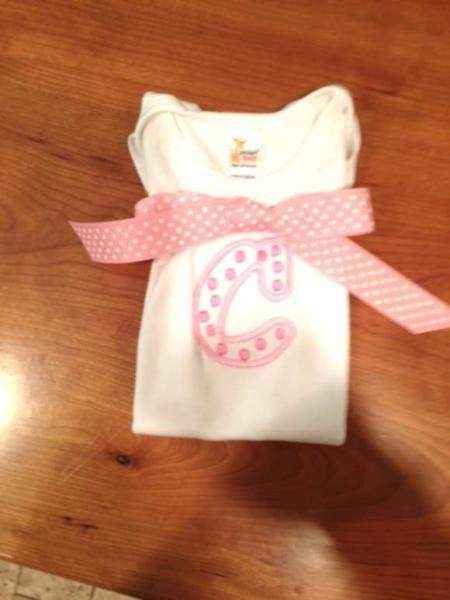 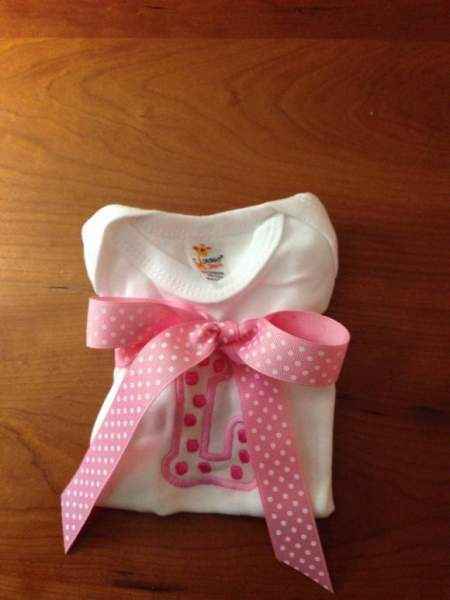 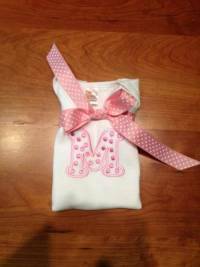 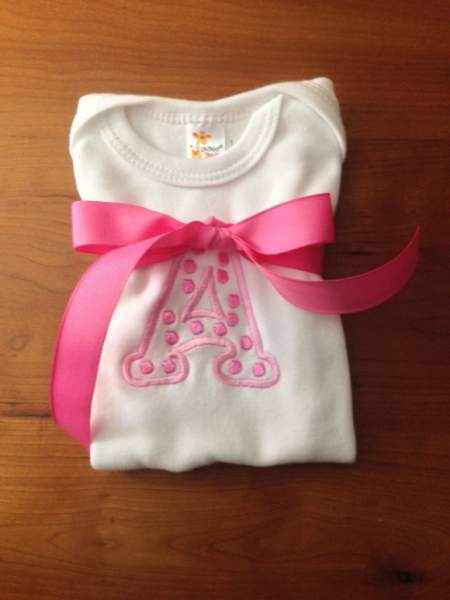 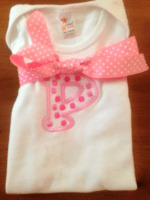 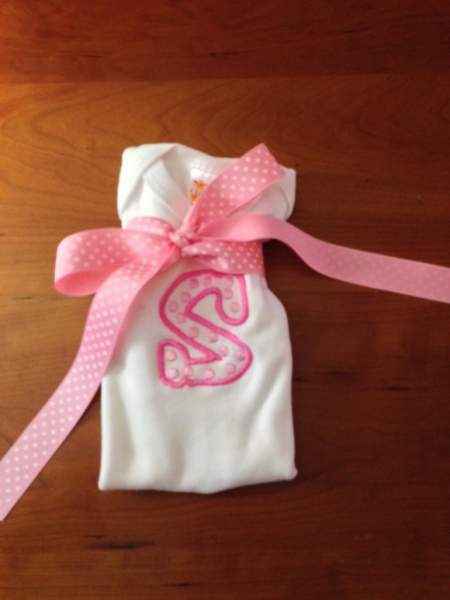 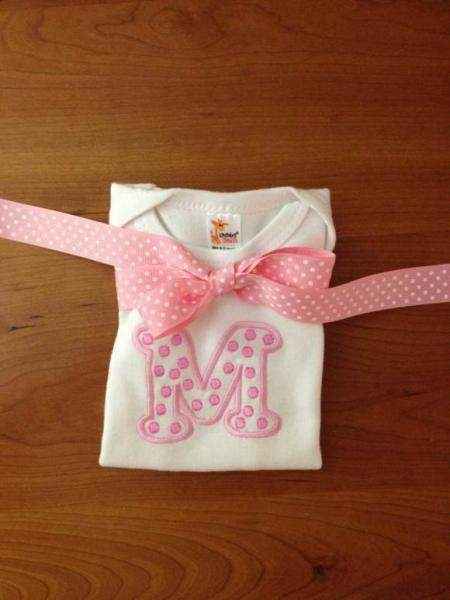 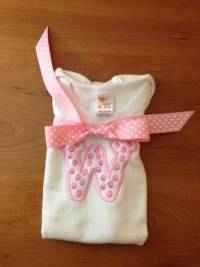 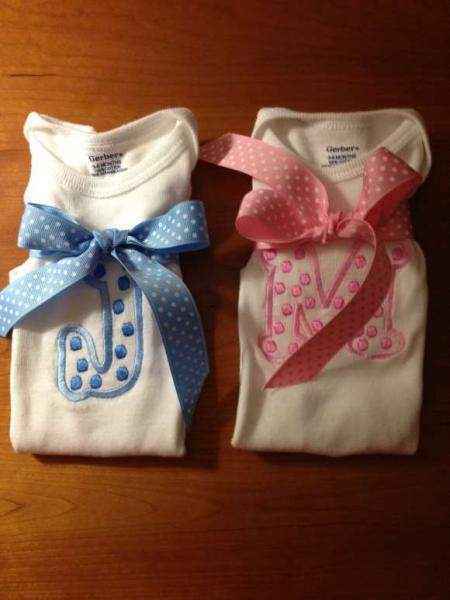 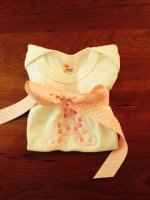 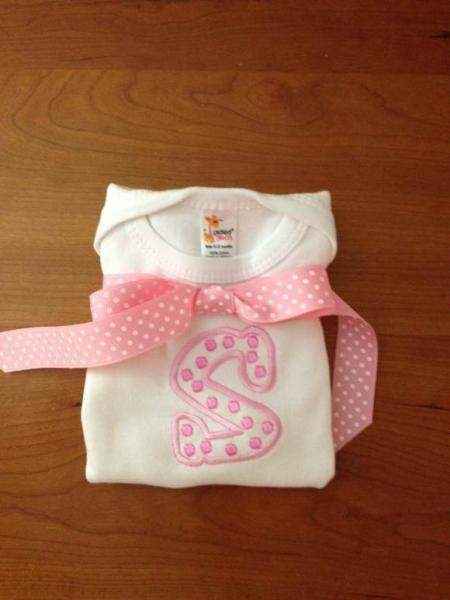 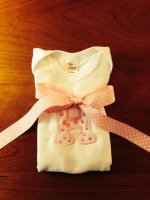 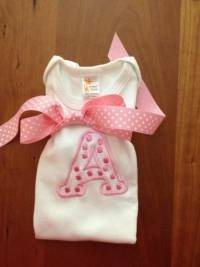 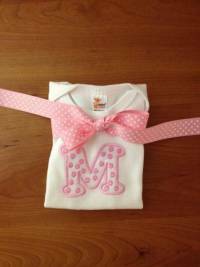 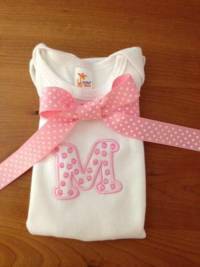 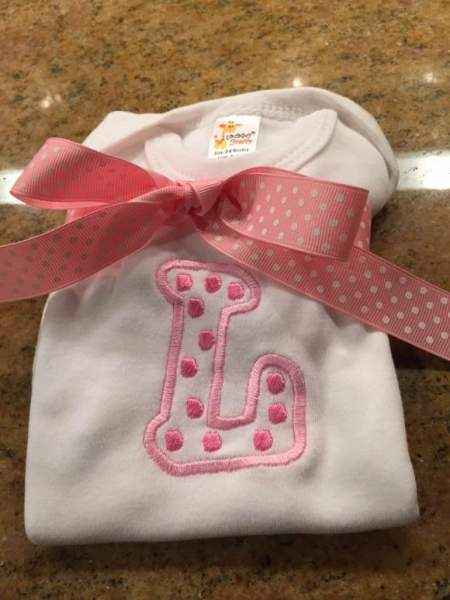 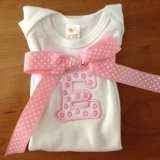 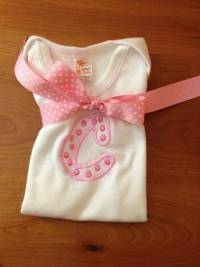 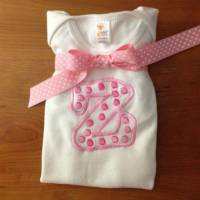 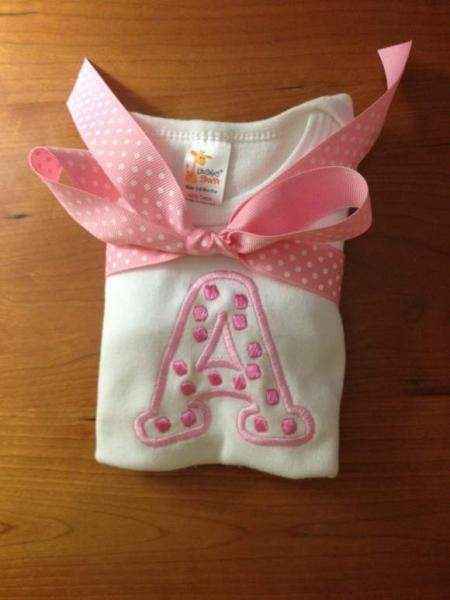 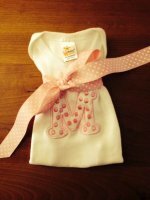 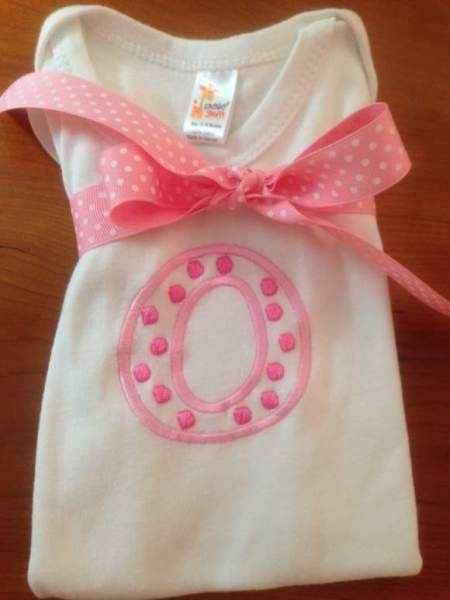 The font and thread color for these personalized initial bodysuits is shown in the photos. The letter features two colors of pink thread. 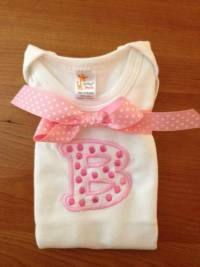 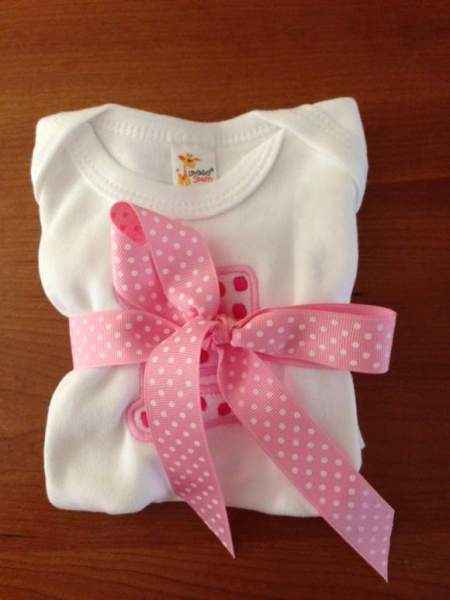 Note: The brands of white bodysuits used with this initial bodysuit can vary.